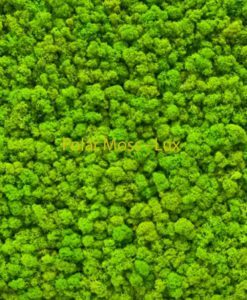 Polar Moss frames are our most contemporary collection that bring you closer to nature. They fit perfectly into any interior providing either the necessary harmonious touch or giving way colourful eclectic vibes. Available in 16 different colours and many different sizes. Thanks to the special preservation liquid, no loss of natural qualities for many years. Not available for delivery outside of Cyprus! BelCat plants are natural plants that have been treated by a special, 100 % eco friendly preservation liquid. Polar Moss frames are the most versatile and available in 16 different colours including several shades of green. 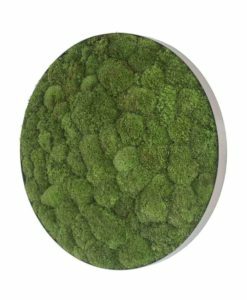 It is the most contemporary collection of moss frames bringing you closer to the daily life of nature that is so precious to us. 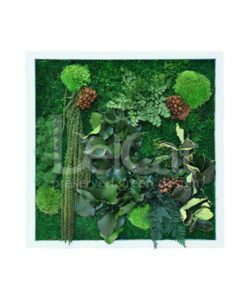 Polar Moss frames fit perfectly into any interior providing either the necessary harmonious touch of nature or giving colourful eclectic vibes to a room. 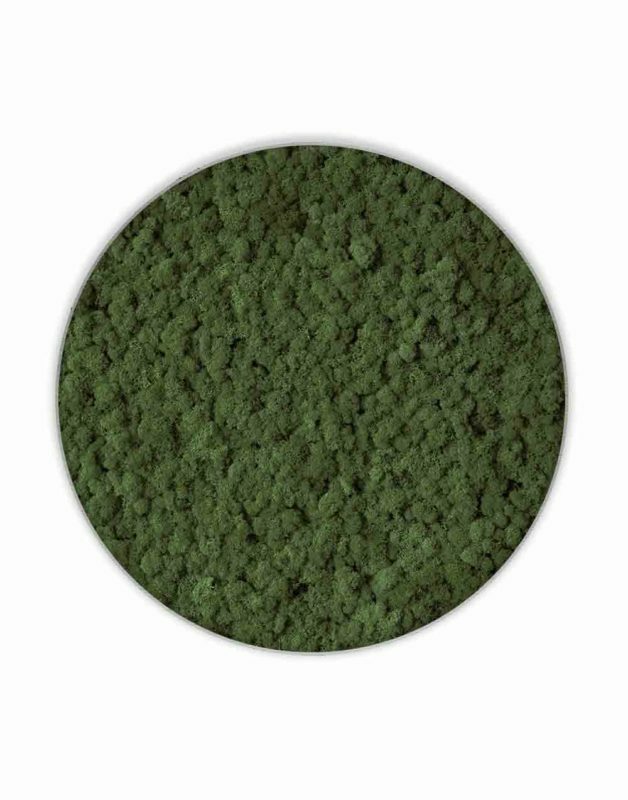 It is like a dense moss carpet accompanied with a three dimensional effect giving way to a forest theme. 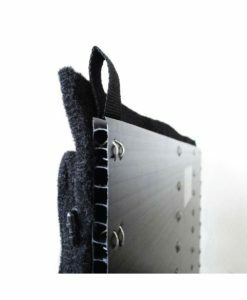 They are available in various sizes and can be combined with several compositions of our product range. Cladonia rangiferina, also known as reindeer lichen grows in both hot and cold climates in well-drained, open environments. Found primarily in areas of alpine tundra, it is extremely cold-hardy. Other common names include polar moss, reindeer moss, deer moss, and caribou moss, but these names may be misleading since it is not actually a moss. As the common names suggest, reindeer lichen is an important food for reindeer (caribou), and has economic importance as a result. Reindeer lichen, like many lichens, is slow growing (3–11 mm per year) and may take decades to return once overgrazed, burned, trampled, or otherwise consumed. It grows on humus, or on soil over rock. it also grows mostly in taiga and the tundra. It often dominates the ground in boreal pine forests and open, low-alpine sites in a wide range of habitats, from humid, open forests, rocks and heaths. In certain parts of its range this lichen is a threatened species. For example, in the British Duchy of Cornwall it is protected under the UK Biodiversity Action Plan.